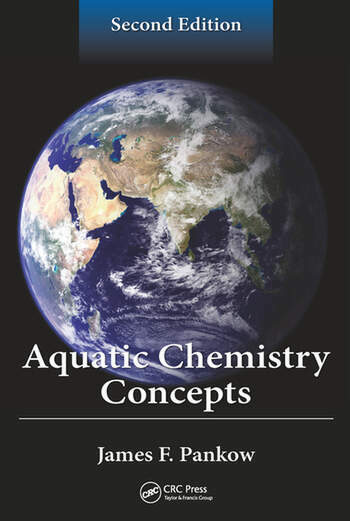 Aquatic Chemistry Concepts fills the need for a true, easy-to-use aquatic chemistry book that goes into the details behind some of the complicated equations and principles of aquatic chemistry. It places established science into a text that allows you to learn and to solve important practical environmental problems. 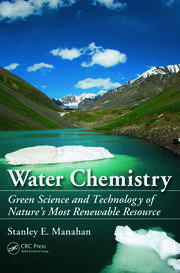 Environmental consultants in all fields, regulators, and libraries will consider this text an excellent reference for its clear explanation of aquatic chemistry principles. 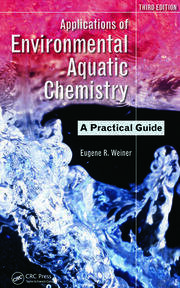 Dr Pankow's academic training combined basic chemistry (BA SUNY, 1973) with engineering (PHD Caltech, 1979). His Research has involved the careful application of chemical principles to understanding how chemicals partition is important multi-phase systems. He received the 1999 American Chemical Society Award for Creative Advances in Environmental Science and Technology, has been listed as a 'highly cited researcher' since 2003, received the 2005 Haagen-Smit Prize, and was elected to the National Academy of Engineering in 2009. He has been listed since 2003 as n ISIS Highly Cited Researcher. In 1993 Dr Pankow received the John Wesley Powell Award.